The web servers hosting your webstore will be migrated in the near future. Except for the Outbound IP changing and just a little bit of downtime when we're making the switch; you shouldn't notice anything else. This migration allows us to continue to work with our hosting company, Proximus; and thus allows you to keep on using the webstore exactly as you are today. What does the Outbound IP change mean? Basically, it's the IP address from which our web servers send requests. If you have any (firewall) rules configured based upon our current IP then you'll need to add the new one as well. That will ensure that the requests we send from the web servers will continue to reach your servers. Those servers mostly are your ftp server and your sage pay server. For now, we don't know the new IP; but as soon as it’s known we'll communicate it so you can add it to your configurations. 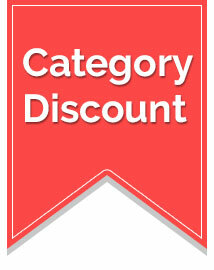 Did you know that it's possible to set a discount for a category? This only applies to pricelists with street prices or selling prices to which you can then apply a negative uplift to the selling price. Better not apply it to your Ingram Micro or Tech Data purchase prices! On October 20th from 3.00 pm to 5.00 pm at our offices.